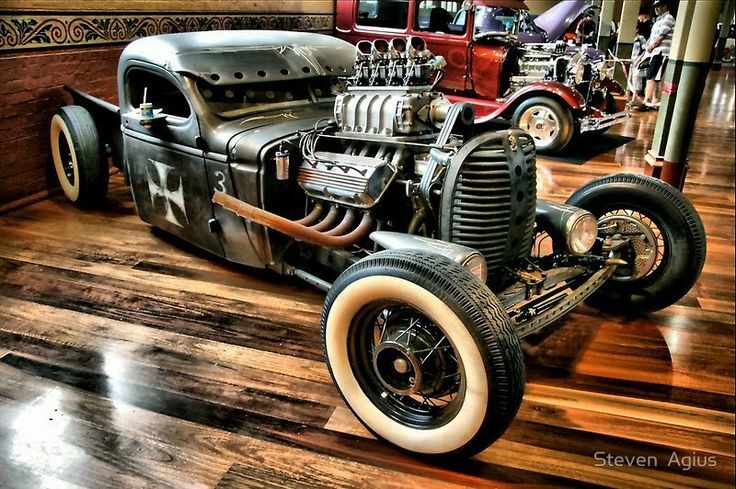 It is no secret that ratrods and hotrods are some of the most valued and revered cars in the world. The community around those two types of cars is massive, spanning the entire globe and including millions of people. This is so since the cars themselves have very unique style, plus a very vintage, yet modernised appearance so it is pretty natural that people flock to them. Because of this, many subcommunities have appeared over the years, serving as places like clubs or websites for people to connect and talk about their favourite type of car. Ratrodusa.com is one such website and a perfect place for any car enthusiast to visit. Correction: any vehicle enthusiast to visit, because this website is not only a gathering spot for hotrod or ratrod fans, but also for motorheads from all over the globe. You will be able to find information about any kind of cool and awesome vehicle there, be it a car or a motorcycle. Yes, despite the name of the website, it does welcome all cycle enthusiasts. You will be able to find a plethora of cool things on this website, starting from photos and videos of people and their cars or bikes to news about car shows, motor meetups and many other things involving big engines, fast speeds and awesome looking vehicles. Aside from that, Ratrodusa.com is the right place where you can find piece of advice and feedback for your own personal vehicular projects. We will be more than happy to give you some piece of advice on how to, maybe, set up your ratrod, or where to find various parts, or even if the paint job you have picked looks awesome! We are small, yet growing and very friendly community that welcomes everyone. Join us and share your high-octane stories and experiences with many other people just like you!